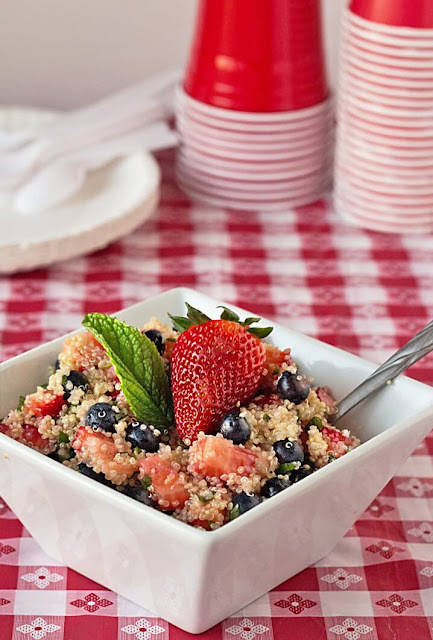 Jerome Farmers Market: Independence Day healthy recipes! - Once clean put them in a small bowl and toss together. In a small bowl mix 8 oz. of mascarpone cheese, 1 tablespoon of pure maple syrup, 1 tablespoon of raw honey, and 1 teaspoon of vanilla extract. - Mix together until completely combined. 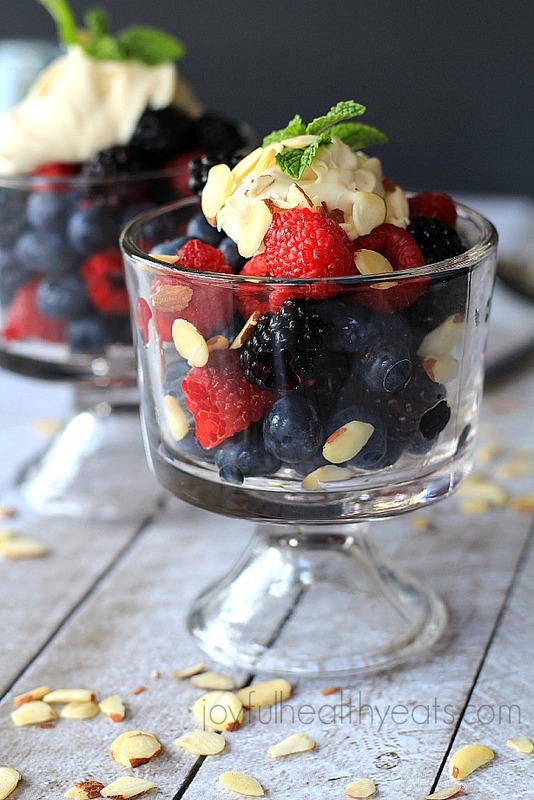 To put the dessert together, place 1/2 cup of the berry mixture together in a small serving bowl. - Top with 2 tablespoons of the Honey Maple Mascarpone mixture and sprinkle with raw sliced almonds. Serve! For step by step instructions and beautiful pictures go to joyfulhealthyeats.com! Cook quinoa according to package directions. Transfer to a large mixing bowl. To the bowl, add blueberries and diced strawberries; set bowl aside. For tastiest results, cover bowl with plastic wrap and chill for at least 30 minutes before serving to allow flavors to meld together. 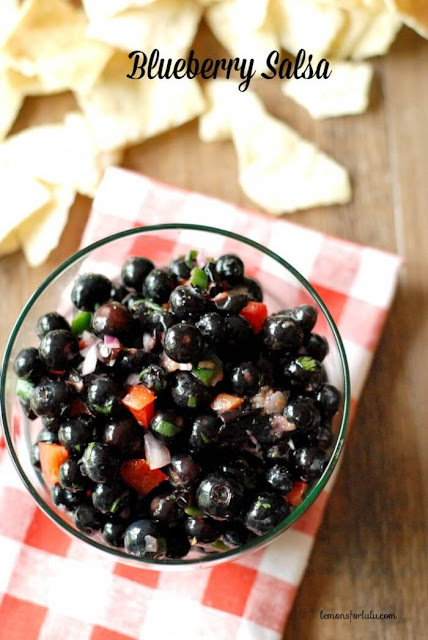 "You'll need lots of juicy, plump blueberries for this salsa. Slightly mash a few to release juices and flavor then combine them with red peppers, white onions and a bit of orange juice. A red, white and blue salsa just in time for your... weekend. The orange juice added so much clean fresh taste. The sweet berries literally burst in your mouth with each bite. We ate this with chips, but this salsa would be dynamite over chicken or pork."